Study Ronald Reagan and Abraham Lincoln and you’ll learn a great deal about how to relate to your spouse, children, co-workers and the people in your church or ministry. Both men displayed their exceptional relational skills on the world stage. Lincoln led our country through the Civil War, the bloodiest period in our nation’s history. Reagan led us out of the Cold War, which threatened to annihilate human civilization. One of the many characteristics that these two men shared was their exceptional ability to understand and manage not only their own emotions and interests but also the emotions and interests of the people they led and the opponents they wished to turn into friends. This ability is sometimes referred to as “emotional intelligence” (EI) in the secular world and “relational wisdom” (RW) in a biblical context. It continues to play a vital role in politics, as illustrated by the growing number of articles discussing the emotional intelligence of modern world leaders. Two recent books vividly illustrate the remarkable relational wisdom of Reagan and Lincoln. 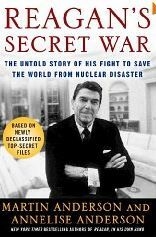 Reagan’s Secret War, written by Martin and Annelise Anderson (Crown, 2009), unveils the story of Reagan’s fight to save the world from nuclear disaster. I had a hard time putting this book down as I learned how Reagan brought the U.S. and the Soviet Union back from the brink of unleashing their 60,000 + nuclear weapons—many of which were a hundred times more powerful than the bomb dropped on Hiroshima. I’ve long admired Reagan’s people skills, but this book took my admiration to a whole new level. The Andersons quote scores of Reagan’s personal notes and diary entries, revealing how accurately he discerned the emotions and interests of other people and adjusted his strategies and words to build trust and forge seemingly impossible agreements. 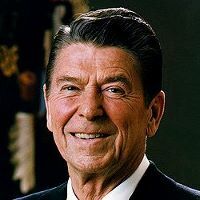 For example, just before flying to his first summit meeting with Mikhail Gorbachev in November of 1985, Reagan took a yellow pad of paper and wrote a memo to himself summarizing what he knew about the General Secretary, as well as the strategy he himself would use in the upcoming negotiations. You’re unlikely to ever get all you want. You’ll probably get more of what you want if you don’t issue ultimatums and leave your adversary room to maneuver. You shouldn’t back your adversary into a corner, embarrass him, or humiliate him. And sometimes the easiest way to get some things done is for the top people to do them alone and in private. Reread this simple strategy. Think about how you could apply it when discussing an emotional or divisive issue with your spouse, child, employees or deacon board. For even more insights on how to prepare to discuss volatile issues, take a few minutes to read Reagan’s memo. It is as brilliant as it is brief (just 1,200 words). Do you employ or work with other people? Then lead and collaborate like Reagan did. Study those around you. Listen carefully to their words. Read their emotions. Discern their interests. Put yourself in their shoes. Demonstrate the same kind of empathy, concern, and vision that Reagan used to forge a partnership that changed the world. Toward the end of Reagan’s Secret War, the authors describe President Reagan’s 1988 trip to Moscow to sign the INF (intermediate-range nuclear force) treaty. “Mikhail” and “Ron” (as they had come to call each other in private) had several momentous meetings with each other. But the highlight of the trip for Reagan was his address to over a thousand students at Moscow State University on May 31. Take time to learn from this incredibly relational leader. As you read his address, ask God to bring to mind relationships in your life that would benefit from a similar exercise of other-awareness and other-engagement. Study the people around you. Take time to discern what moves them, scares them, excites them, unites them. Collect your insights by keeping a journal, as Reagan did. Follow his example of writing a memo to yourself to plan important conversations. In short, become the man or woman of understanding commended by Scripture for looking into the deep waters of others’ lives and drawing out the purposes of their hearts (Prov. 20:5). Then let them know that you value them and are as committed to looking out for their interests as you are your own (Phil. 2:3-4). This investment in others will not only deepen your existing relationships but may also turn some current opponents—whether at the office, on the church council, or in your own home—into genuine friends. I’ll postpone a similar discussion of Lincoln’s relational skills to a later post, but let me simply encourage you to read Doris Kearns Goodwin’s best seller, Team of Rivals. You will find equally inspirational examples of relational skills that could transform your world … just as Lincoln and Reagan transformed theirs. Take a few minutes to read Reagan’s memo on Gorbachev and his address at Moscow State University. What impresses you most? How could you follow his example in navigating some of the challenging relationships in your life? Who is another public figure who inspires you with his or her people skills? Think of a specific relationship or situation in which you could imitate that person’s skills. If Ronald Reagan took time to write a journal where he collected his insights into other people as well as himself, do you think you could find time to do the same? 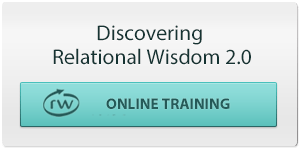 It’s one of the best ways to make steady growth in your relational skills. Here are some ideas on how you can get started. 2 Responses to "Reagan, Lincoln, RW and You"
Thanks for sharing this post and your insights into Reagan’s relational wisdom. I look forward to reading the Reagan book. Team of Rivals (and anything Lincoln) is indeed a tremendous book highlighting Lincoln’s mastery of relational wisdom. I look forward to your insights on Lincoln as well. You do a great job at peeling back the onion layers and helping us apply these skills in our lives. Thank you, Allen. Both of these men were political giants because they had enormous relation skills. Much for us to imitate!